Best-seller Picoult takes on a heavy subject in her latest outing: the Holocaust. At 25, Sage Singer is scarred, both physically and mentally, by the car accident that took her mother’s life. A baker who works at night in a New Hampshire shop run by a former nun, Sage shuns almost all human contact, save for her coworkers and her funeral-director boyfriend, Adam, who is married to another woman. Sage ventures out of her comfort zone to befriend Josef Weber, an elderly retired teacher, who throws her world into chaos when he tells her that he’s a former SS officer and asks her to help him end his life. Sage, whose grandmother Minka survived the Holocaust, reaches out to the Department of Justice and is connected with Leo Stein, a charismatic attorney and Nazi hunter. Leo travels to New Hampshire to investigate Sage’s claims, which leads them to Minka, who shares a surprising connection to Josef. 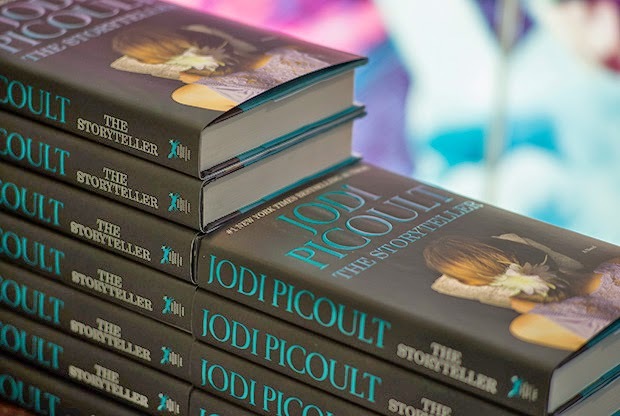 Based on extensive research, this is a powerful and riveting, sometimes gut-wrenching, read, in which the always compelling Picoult brings a fresh perspective to an oft-explored topic. 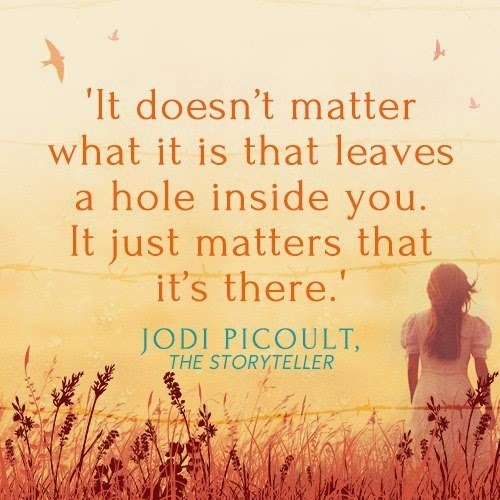 "The Storyteller" by Jodi Picoult is one of the best books I have ever read. The story begins with Sage Singer, a baker, who is tormented, isolates herself from the world and grips tightly to a heartbreaking image of herself as someone who is a horrible human being for having been involved in the car accident that took her mother's life. She spends almost all of her current life barricading herself off from others emotionally and even largely physically as well. However then one night, she meets Josef while attending her routine grief group meeting. Josef is in his eighties, Sage is 25, but they strike up an unlikely and touching friendship. They spend afternoons playing chess together, evenings conversing and slowly revealing their souls to one another over tea, they come to share inside jokes, etc. A sweet friendship is formed. Sage finds herself slowly blossoming and coming into herself through this this relationship. However all of that changes suddenly when Josef reveals something surprising, dark and shocking to Sage. And then after his big reveal, he asks her to please help him die as he feels this is what he deserves for all the death he himself has caused. What follows are my two favorite parts of the book. One first reads Josef's story. His own tale of the path he followed which led him to the occupation of SS officer during WW2. Then we read the tale of Sage's grandmother, Minka, who survived WW2 and was a prisoner in Auschwitz. Their paths crossed in a powerful way, but neither one knows of the other. Yet Sage knows both of these people well. The two narratives are amazing. Gripping, incredibly powerful. The author paints with her words. The writing is beautiful and lyrical while describing horror and darkness. There are moments when I am reading it and I look up, startled and unsure of how many of my train stops have whizzed by since I began reading. I love this book and highly recommend it. Its outstanding.